I mentioned on Instagram a few weeks ago that my family is drastically altering the way we eat. We are working through some health issues, and currently cutting out the normal sweets and treats that I am used to serving. While a decadent chocolate cake will still be the birthday norm around here (not to worry!) I’ve also been searching out healthy alternatives for our weekly gatherings and Sunday night dinner parties. 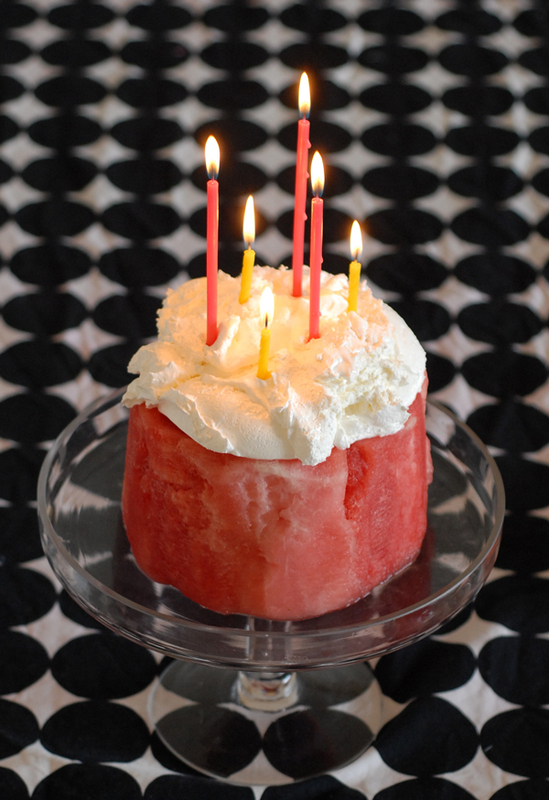 This watermelon cake is my new favorite! 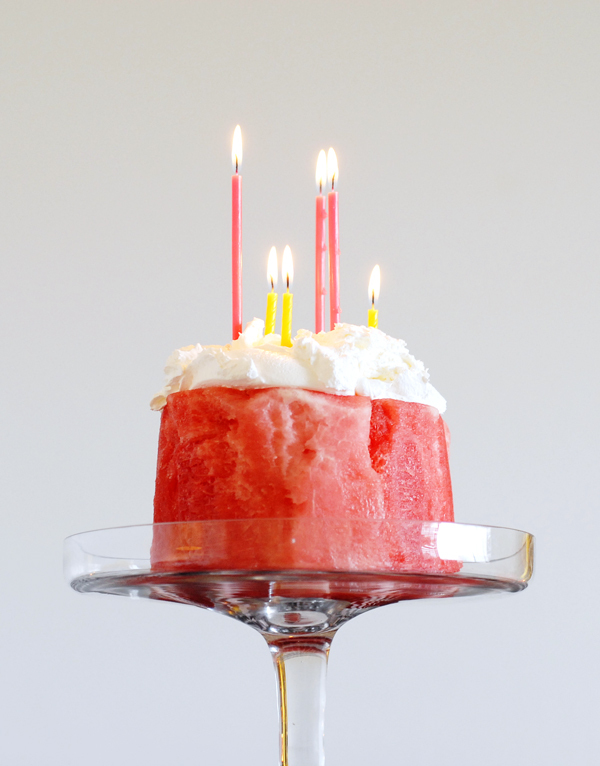 It is so simple to whip up, and it is as much a show stopper as any of our other party cakes. Plus, the cake is completely healthy. Just a watermelon! We served it at our last Sunday night dinner and everyone quickly fell in love. 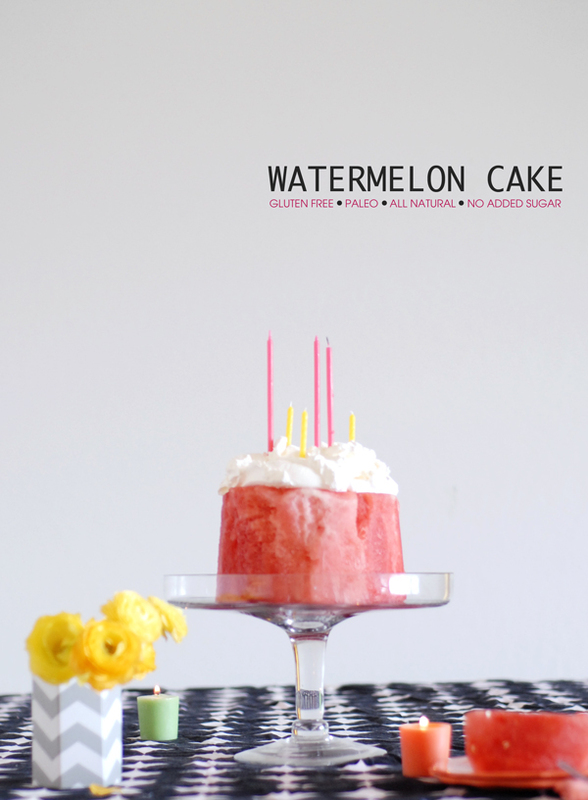 To make a watermelon cake that is all natural, gluten free, paleo friendly, whole 30 approved (or whatever diet you might be sticking to). Purchase a watermelon – look for a wide one which will give you a nice substantial base. Cut the rind away and slice to a good thick size. 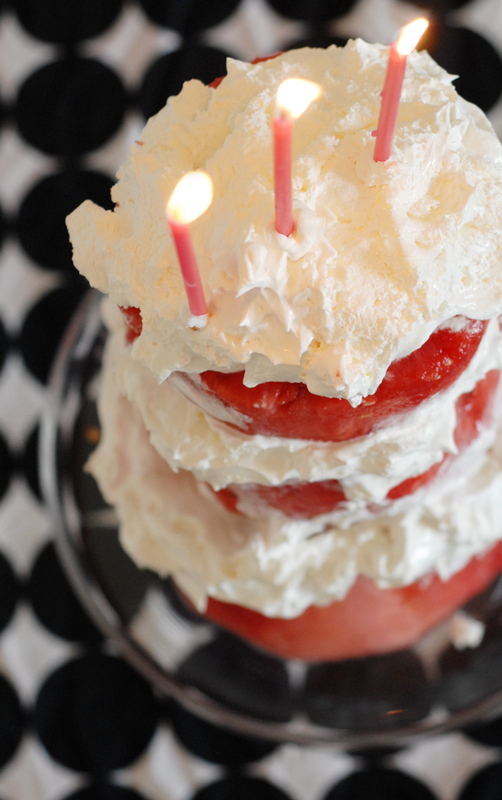 For a taller cake buy a couple different size watermelons and stack as you go. Serve on a cake stand with your naturally fabulous party style. If you’d like to top it with whipped cream (it’s really good!) here is my favorite old fashioned whipped cream recipe, and here is a great coconut whipped cream recipe. Since my favorite rice krispies cake is outlawed for the time being, I’ve been having great fun searching and trying out new ways to serve dessert. I’ve collected a number of other healthy, fruit inspired desserts over at foodie.com that are all simple enough for Sunday night dinners. You creativity blows my mind. 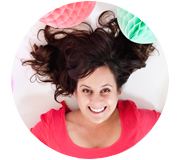 I eat Paleo and this is SUCH a great idea! My boyfriend’s birthday is coming up in May and I am totally making this for his present.